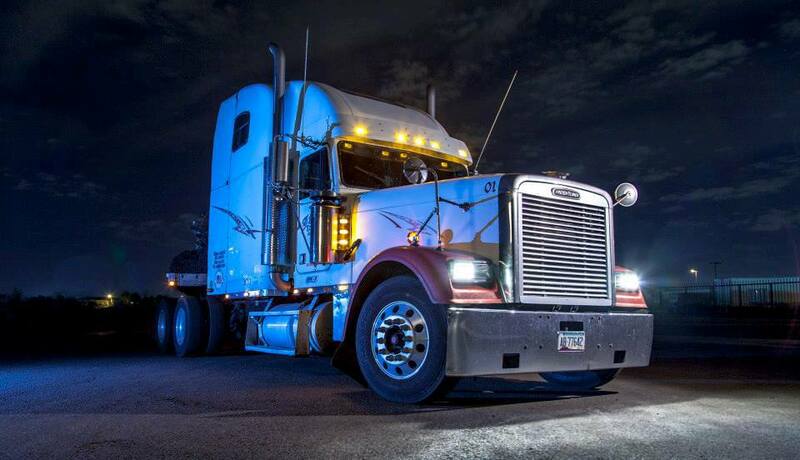 JSL Family Trucking LLC was founded in 2005 by Jesse Serna. Coming from a very rugged up bringing, and even worse resources available to succeed; life was not easy to say the least. Working a vast number of jobs from Janitorial, Product Sales, Construction and many more. In the year 2000, he decided to pursue a career as a truck driver. From there Jesse went on to be Truck boss for every single company he worked for through the years along with hard work and dedication at the core of his work ethic. In 2005, he decided to make the leap and get a truck and trailer of his own to try a venture of being an owner-operator. Without having knowledge and experience in the flatbed industry, he persevered through the recession and ridiculously high fuel prices to create a business that contributes to the greater Phoenix Community. In 2011, Jesse and his wife Valerie decided to further their expertise and go to College, take courses and obtain their Master Broker’s License. JSL Family Trucking LLC in it’s 12 years of business has went from a single Owner-Operator, to 5 Trucks and 5 Trailers, 10 Employee’s (Both Office & Abroad), and over 15+ Owner-Operator’s leased to them, 20+ Customer’s, over 200+ Loads a month transported, And much more expansion is in the works. JSL takes pride in providing quality service and providing great quality jobs for it’s community all the while operating firmly on the foundation of Family Values. When you provide the opportunity to work with JSL, you evidently become apart of the JSL Family. Get Social With JSL Trux!